​Can I share a little truth with you? I have always tensed up a little bit when someone has asked me to share my testimony. And then I feel guilty. I’m a Christian, so sharing one’s testimony is standard practice, right? I mean, talk about the latest episode of Fixer Upper, no problem! Send a friend a text about the great steal I just found at the craft store, of course. But sit down with someone and share about the Gospel, paralyzed. But God help me to see that I had a perception problem. ​Did you notice that excitement? That “I’ve got something to share and I can’t wait to tell you!”? So why is the Psalmist so excited and I’m so nervous? The answer is in their words... “sweet old truths” ... “stories we heard” ... “we’re passing it along”. To them, they were simply passing along family stories of how God was present in the lives of their families. Just like when we get together with our families and share the fun and wonderful memories we share with each other. One generation telling the next generation about the past generations. Ok I can do this. I can tell others about what God has done in my life, in my family’s life and even in the lives of others. My perception about sharing my “testimony” was all wrong. I thought it had to be some profound scripture quoting monologue at the end of which the person I was speaking with should fall on their knees confessing their sin. I thought my words should transform someone’s life. And that was (is) a tremendous amount of pressure. Transforming someone’s life is not our job. That’s God’s job. He is the transformer. He’s the life changer. I’m just the story teller. I’m the seed planter. Is there someone in your circle that needs to hear about what God has done in your life? ​Pray and ask God to reveal a name. Then ask God to create the circumstances so you can share with this person. It’s a bold prayer, I know. 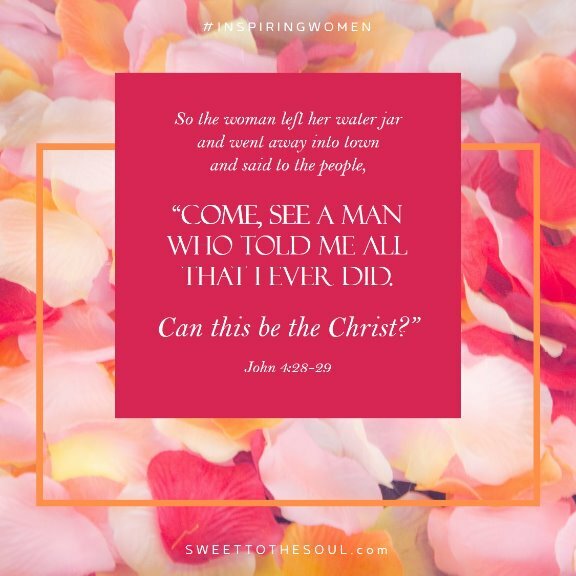 Ask Him also for courage, and remember the seeds planted in your life by those inspiring women who gave testimony about what God had done in their lives. Be Bold. Be a seed planter. 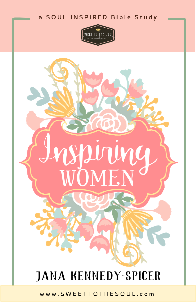 Be Inspiring.